Each page of this thoughtful book contains an unforgettable quotation from Robin Sharma. 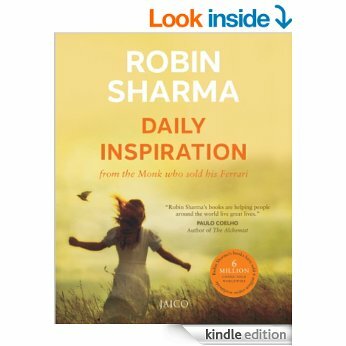 It provides the reader with a daily prescription of uplifting, practical wisdom for personal and professional success. It’s a beautiful and timeless gift of wisdom, for a loved one or for yourself. Sold by: Amazon Digital South Asia Services, Inc.